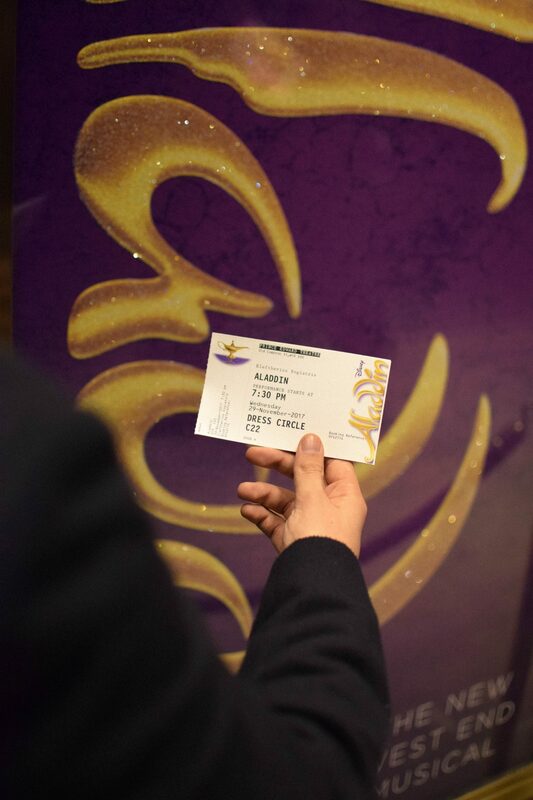 If you are following me on my Instagram then you probably know through my stories that I and Navid (my best friend since 13 years old) attended Disney’s Aladdin the Musical last week at Prince Edward Theatre in Soho. Navid is not only my photographer but also my right hand in everything that I need, either that is editing photos or generating content ideas. He has been a continuous support since the very first <professional> photo that I ever posted on my Instagram and I literally wouldn’t have been where I am right now without him. I am very grateful for his help and this year I decided to surprise him ahead of the holidays and take him on a night out to a show. 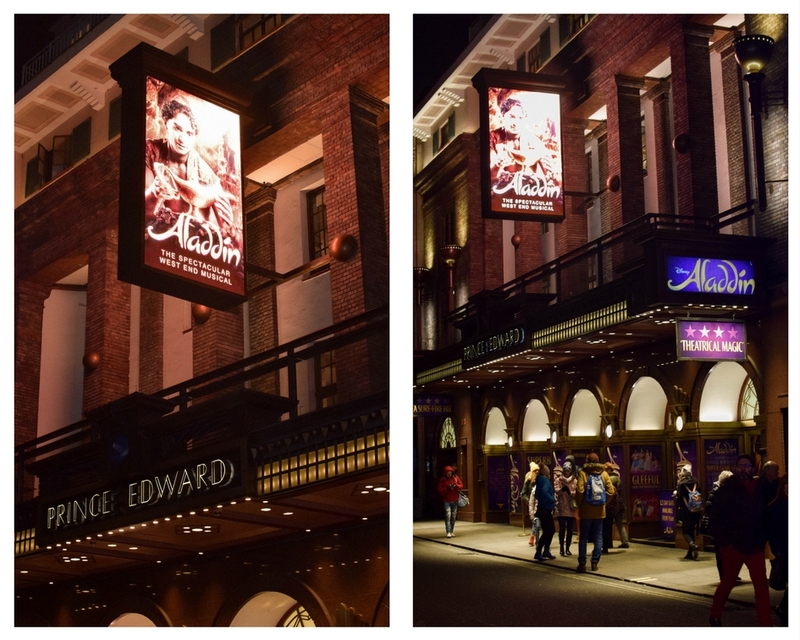 West End Musicals are very renowned and a popular way of entertainment among locals and tourists in London and since none of us had actually attended one before, I thought it would be a memorable first for both. 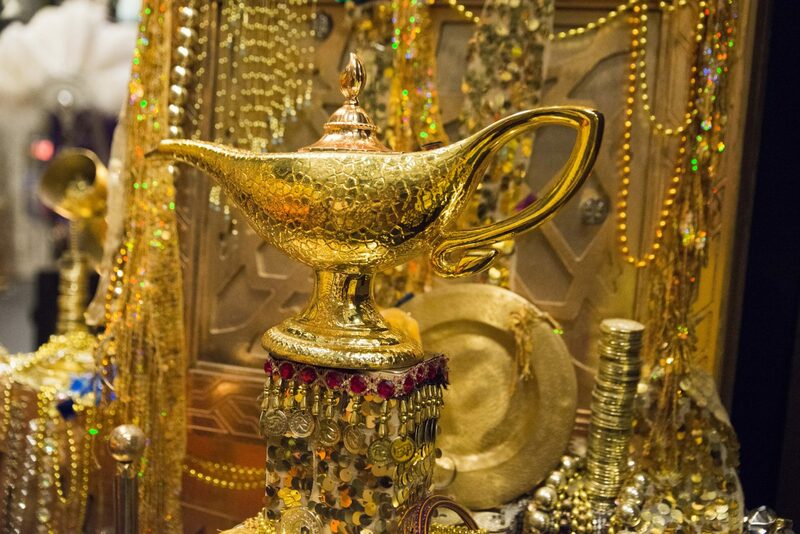 Choosing Aladdin was an easy choice because we both grew up watching the movie and tv show and it was a fun way of reminiscing our childhood while spending quality time together. And I must say, looking back at it now, I am very happy with my choice as he really seemed to enjoy the show and it turned out to be a very good night. Getting ready for the show was such a fun process for me. 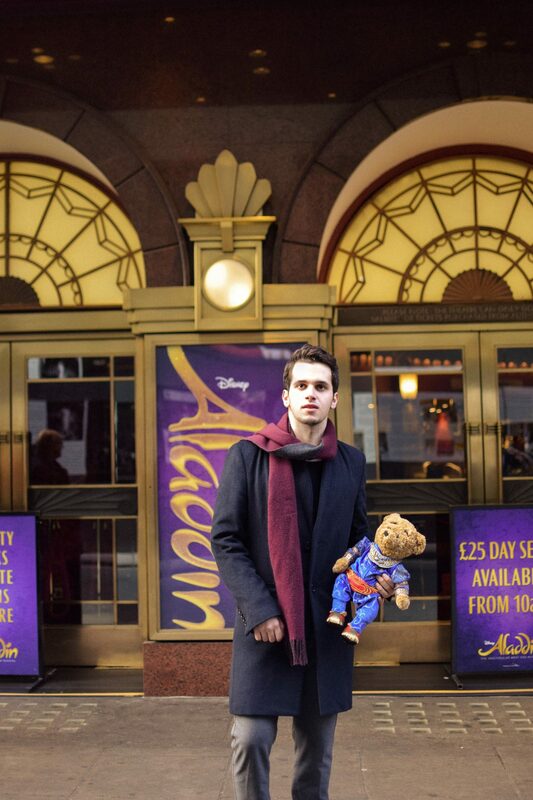 There is something so exciting about wearing your smart clothes and knowing that you will be attending a West End Musical, especially during the festive season. The magical atmosphere of Christmas in the streets of London always gets me in a good mood and makes me want to dress up a little more. After all, that is what Christmas is about, treating yourself to a productive year and making the most of these glamorous nights with friends and family. 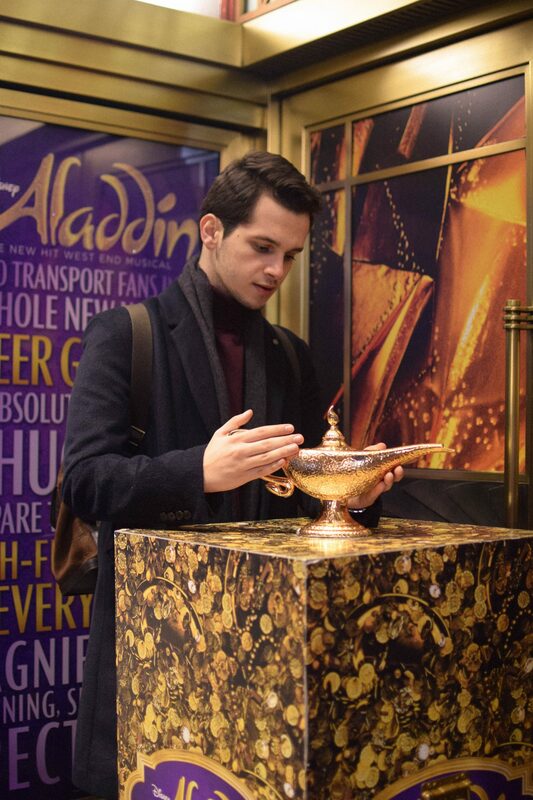 From my suit pants and white fitted shirt to my long blue coat and burgundy scarf, I felt like a prince and I was ready to enjoy the night with my best friend in the world of Agrabah! Being my first time on West End, I did not have many expectations of the show but I am pretty sure it can’t get any better than that. 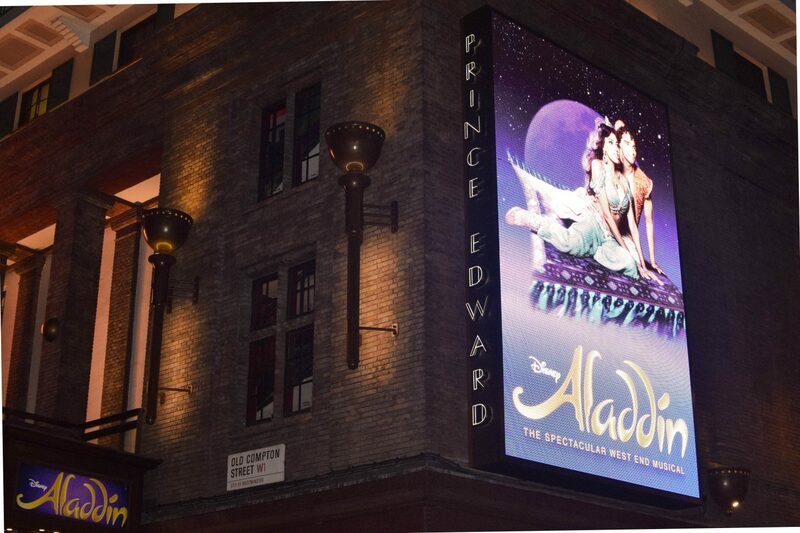 Both me and Navid were shocked with the amount of detail that was put into creating the Aladdin the Musical. Everything from the costumes to the props to the special effects (yes it even has special effects and trust me… you are in for a treat!) 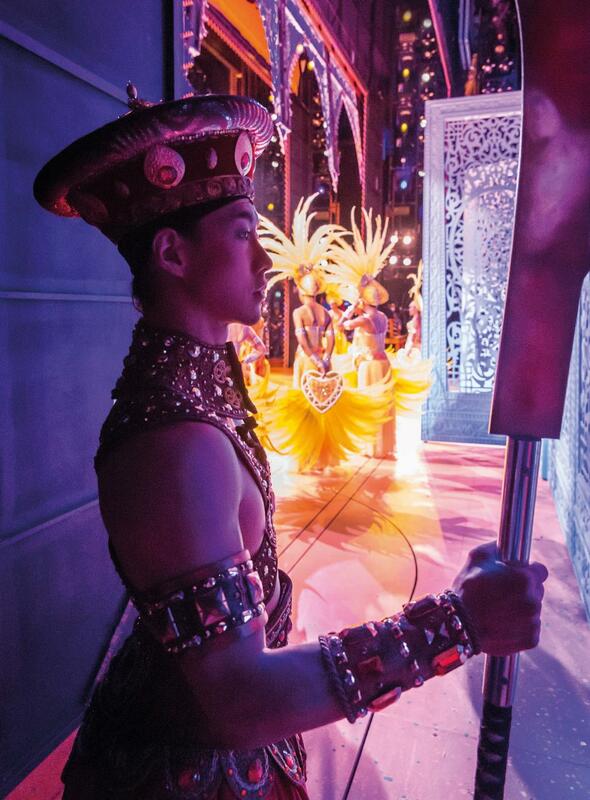 was so carefully executed and altogether created a jaw-dropping show. In addition, It was so much fun ( and nostalgic) watching my childhood heroes come to life right in front of my eyes. 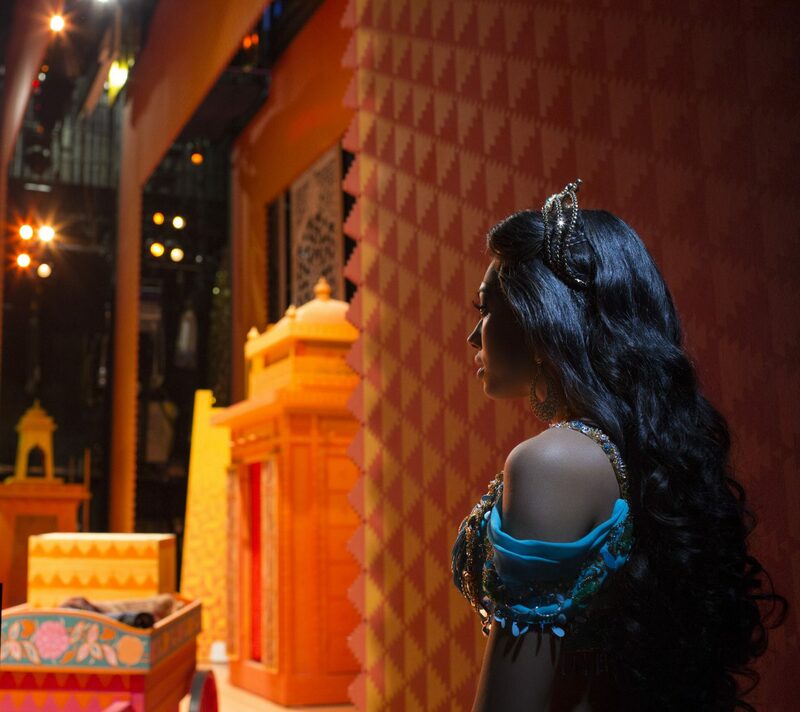 The actors’ performances were amazing and I particularly loved the modern twist on the Genie’s character. But even though they were a few changes on the plot and characters to fit the story for theatre, one thing remained the same and that is… the songs! The songs were exactly as fun as we remembered them and we loved singing along to the performances. Surprisingly I still remember the lyrics hah! Disney’s Aladdin the Musical turned out to be such a great experience and definitely a night to remember with one of my favorite people. It is such a fun thing to do ahead of the Christmas time and I definitely recommend it for a surprise night out like mine! They will be running shows throughout December and January so make sure to get tickets for you and your loved ones here. The Blogspot is sponsored by Disney but all opinions are my own. I love musicals! 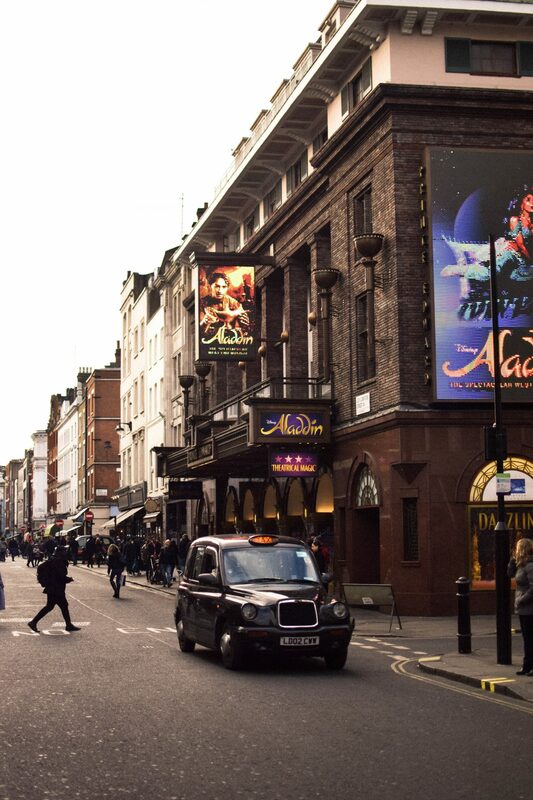 !Aladdin sounds so much fun, great photos by the way.